We help you organize your private events by taking away the stress, worry, and mess of planning a party. Let us know how many people are in your group and we’ll design a unique and special event that meets your budget and your expectations. At Orson Gygi, we help you celebrate all your special events in a very unique way. Plus, we take care of the set-up and clean up, leaving you free to enjoy your party with your guests. Private events are also a great opportunity for corporate functions, team-building activities, or finally having that family get together you’ve been putting off. 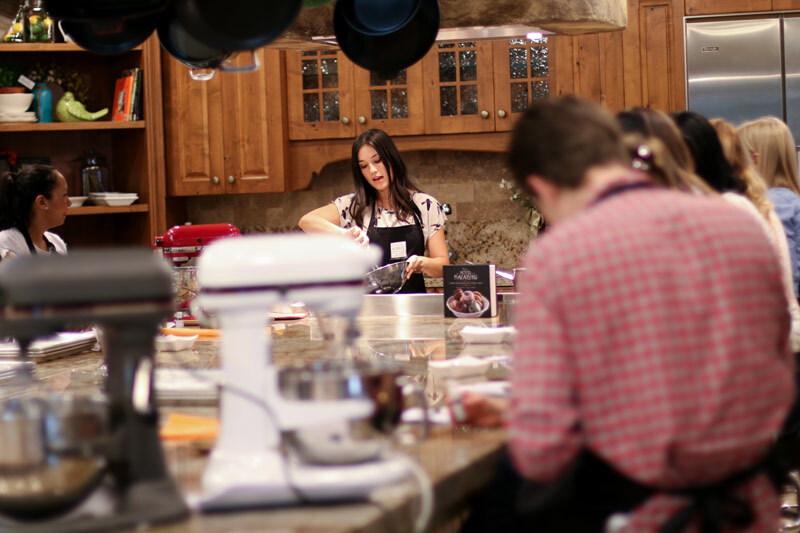 We have a unique hands-on kitchen that can fit parties up to 25 people and a theater-style demonstration kitchen that can hold private events up to 48 people. Our menus for private events have options of cuisines from all around the world, including Thai, French, and Italian. To book your event, or talk about how we can make your event customized to you, email Heather Smith at: classes@gygi.com. We’ll get back to you in a very timely manner excited to start planning your private event.